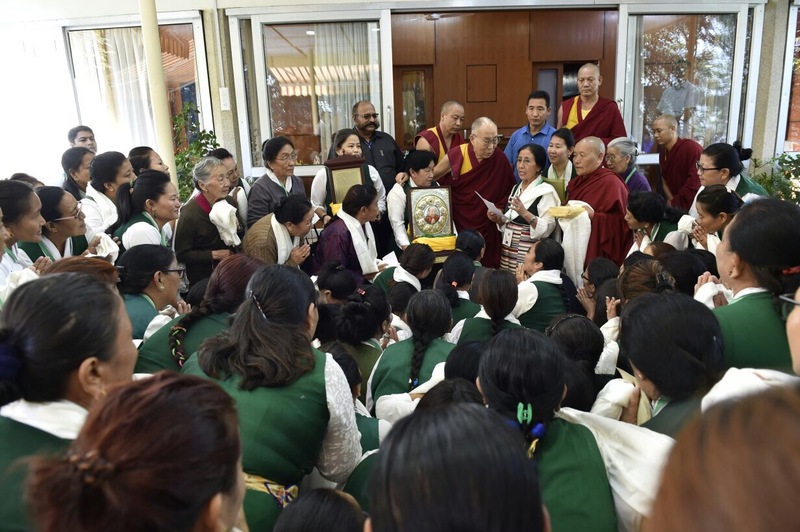 (TibetanReview.net, Oct14, 2017) – The Tibetan Women’s Association, which is headquartered in Dharamshala, India, on Oct 13 presented to the Dalai Lama a ‘Jamtse Lopon Award’ in recognition of him as the ‘compassionate and perfect teacher’. Executive body members, including some former ones, totaling 99 from 39 regional chapters of the TWA took part in the event which was held at the Dalai Lama’s residence. TWA President Dolma Yangchen has said presenting the award was one of the key decisions of the group’s 12th Working Committee Meeting held last year. It was meant to express gratitude to the exiled spiritual leader of Tibet on his 82nd birthday this year. 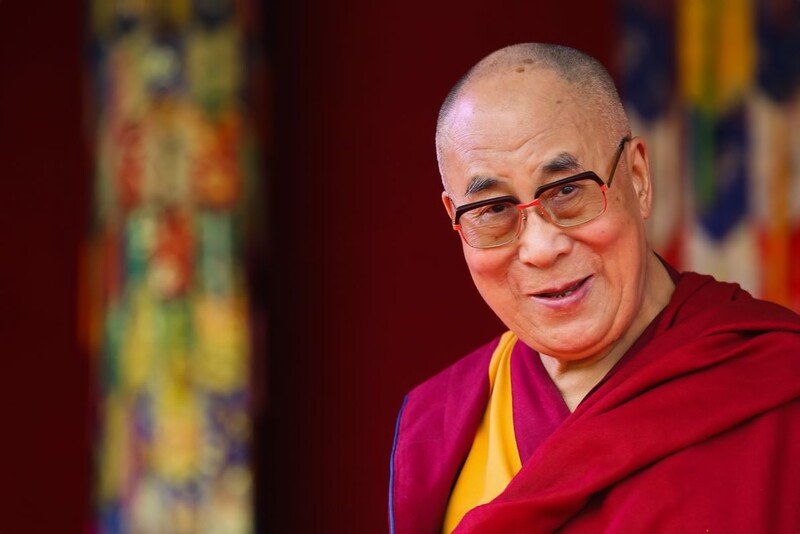 She has said the Dalai Lama’s long periods of absence from Dharamshala and busy schedules meant that the award presentation could only be made that day. Members were stated to have performed a ceremonial dance and presented a short Tibetan opera song in praise of the Dalai Lama on the Tsuglagkhang courtyard to give an auspicious conclusion to the event.